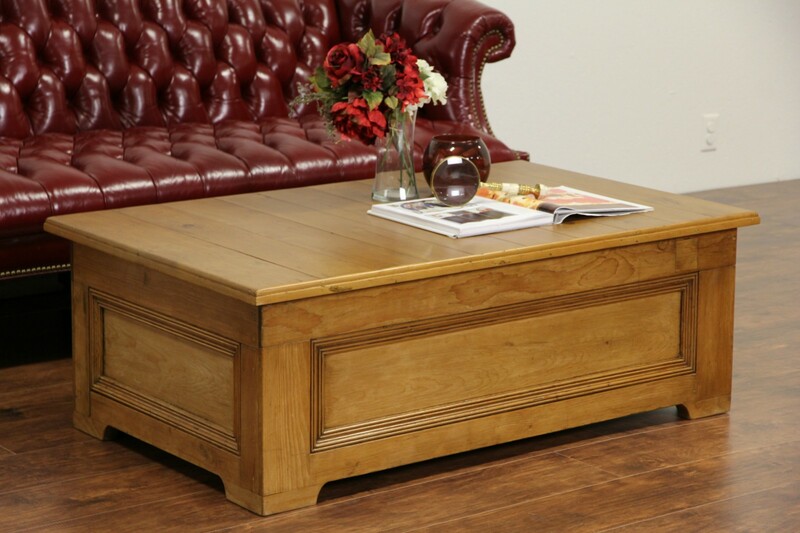 This country pine coffee table with storage inside was created about 25 years ago using architectural salvage paneling from the late 1800's. The finish is in excellent condition on this American made furniture. Measurements are 49" long, 29 1/2" wide and 17" tall.